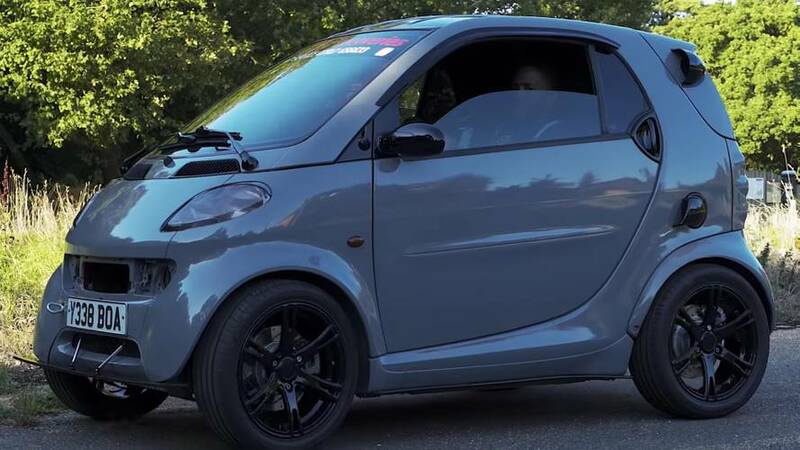 This Smart car appears to be quite a handful to keep under control. 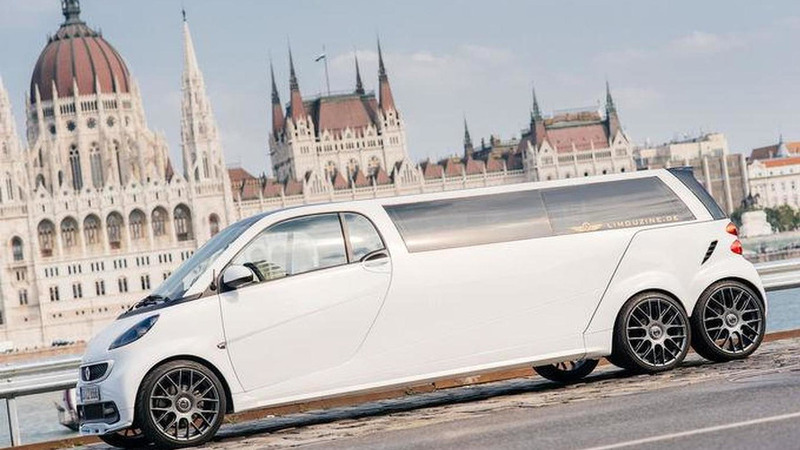 This is more of a land dinghy than a land yacht. 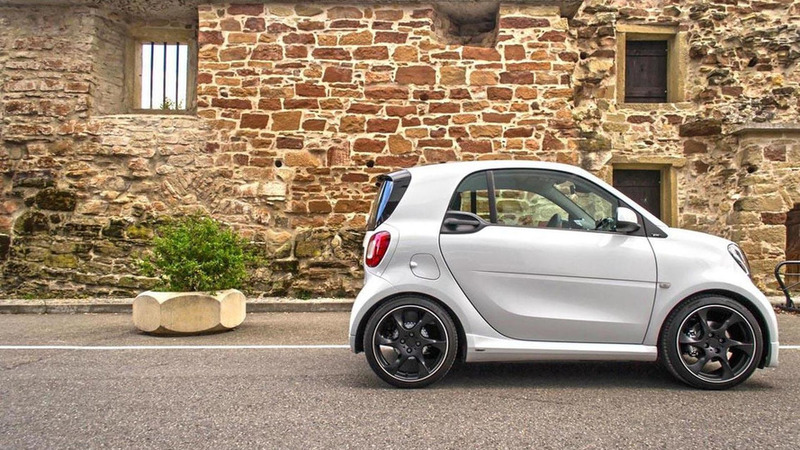 The droptop pocket rocket has three exhaust tips, like a Ferrari 458 Italia! 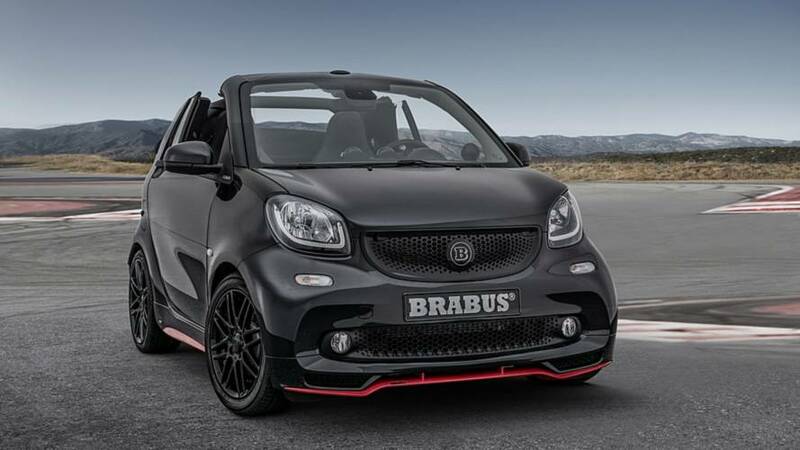 Brabus is infusing more power in the Smart ForTwo, ForTwo Cabriolet, and ForFour models just in time for the Beijing Auto Show. 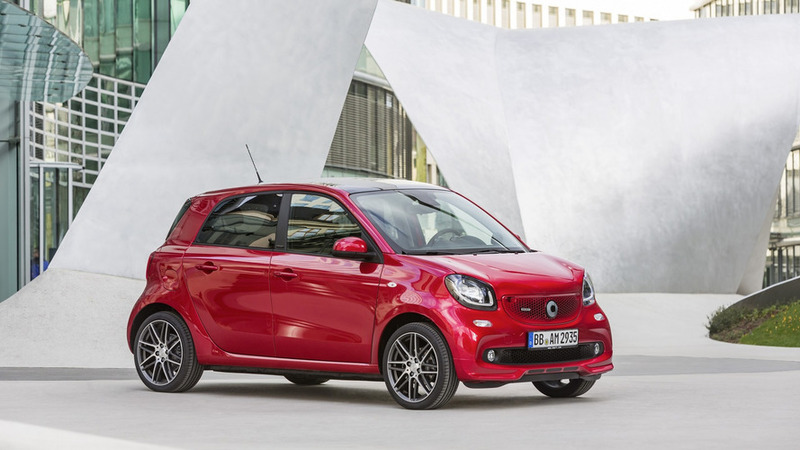 Lorinser is introducing a comprehensive upgrade kit tailored to the Smart ForTwo city car. 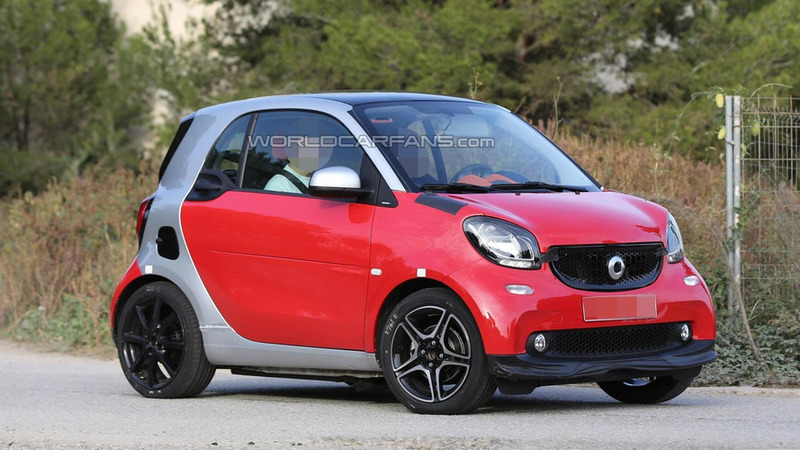 Limouzine.de will be showcasing at IAA in Frankfurt next week a limousine conversion for the Smart ForTwo. 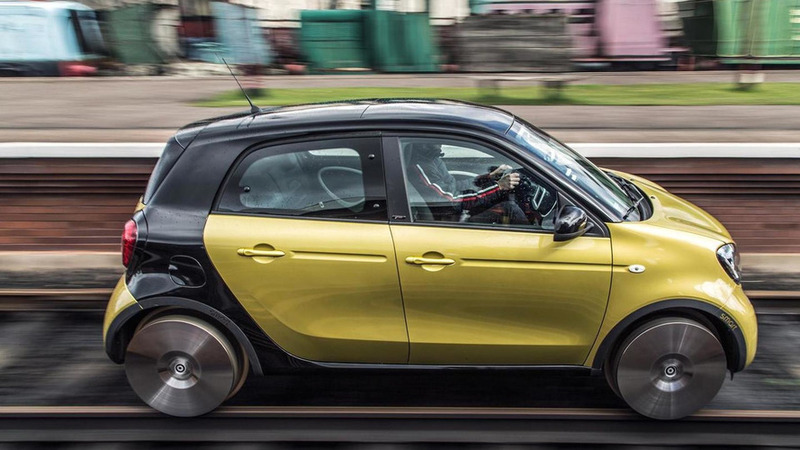 Smart has transformed the latest generation forfour into the world’s smallest train. 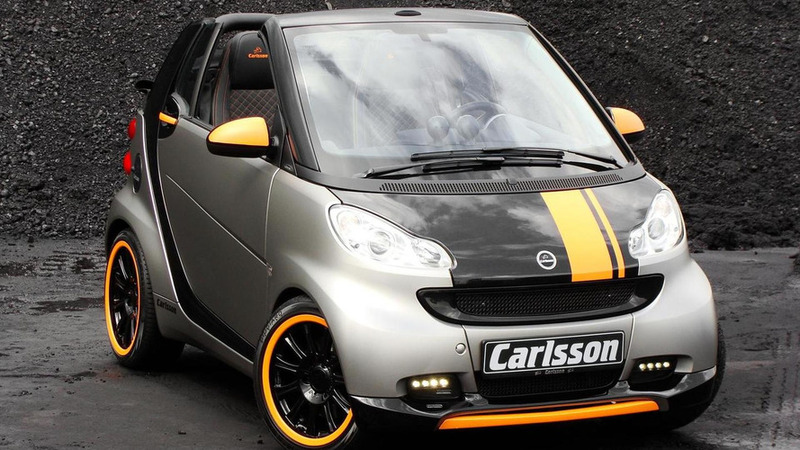 German tuner Carlsson has released an aftermarket package for the latest Smart ForTwo. 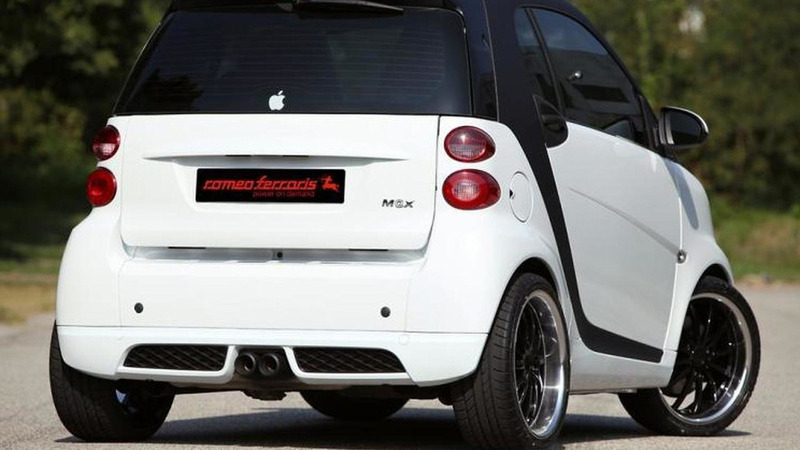 Our spies have sent us images with the 2015 Smart ForTwo by Brabus undergoing testing while carrying minimal camouflage. 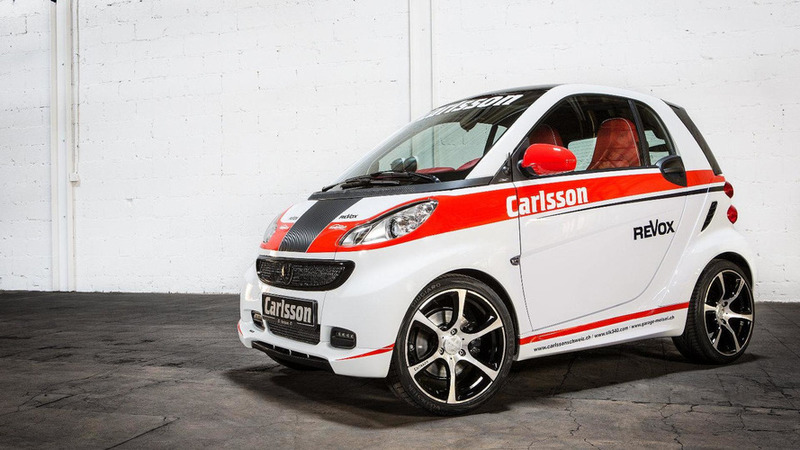 Carlsson has prepared the Smart Race Edition with 112 HP for the 2013 Geneva Motor Show. 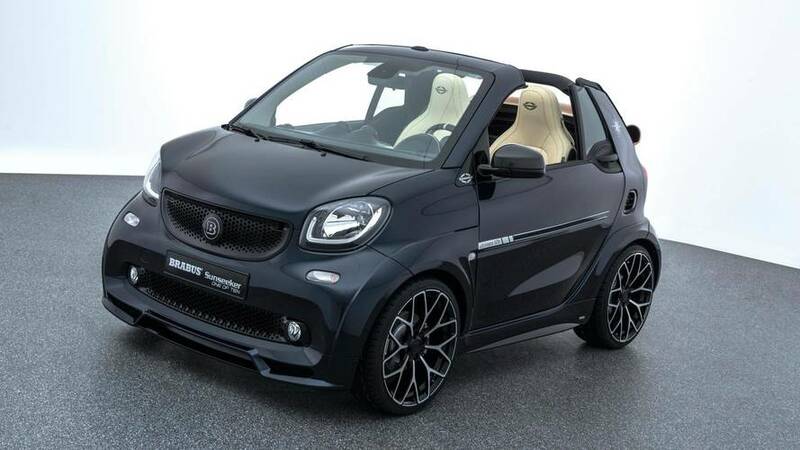 Based on the Smart ForTwo Cabriolet, the model features a turbocharged three-cylinder engine has been tuned to produce 120 PS (118 bhp / 88 kW) and 160 Nm (118 lb-ft) of torque. 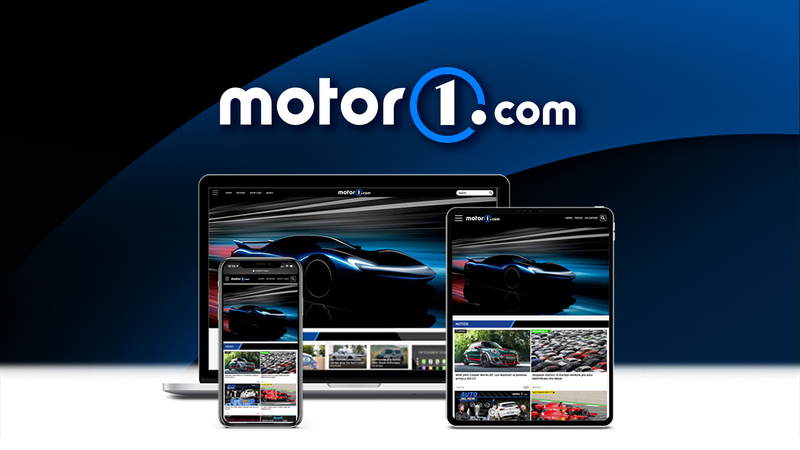 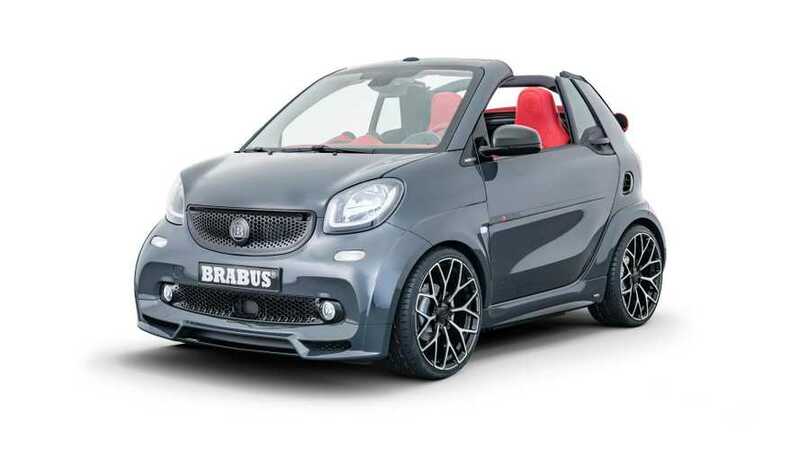 German tuning company Brabus, in collaboration with Smart, has announced yet another reiteration of the fortwo electric drive for the Geneva Motor Show. 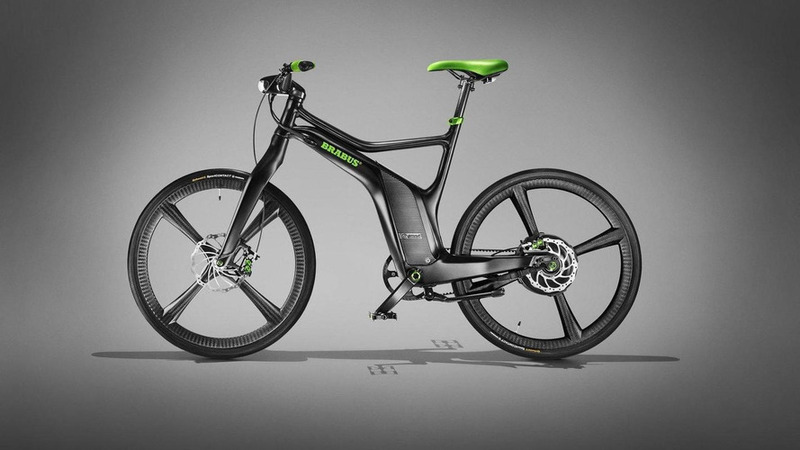 Accompanying the glossy black city car is the smart BRABUS ebike. 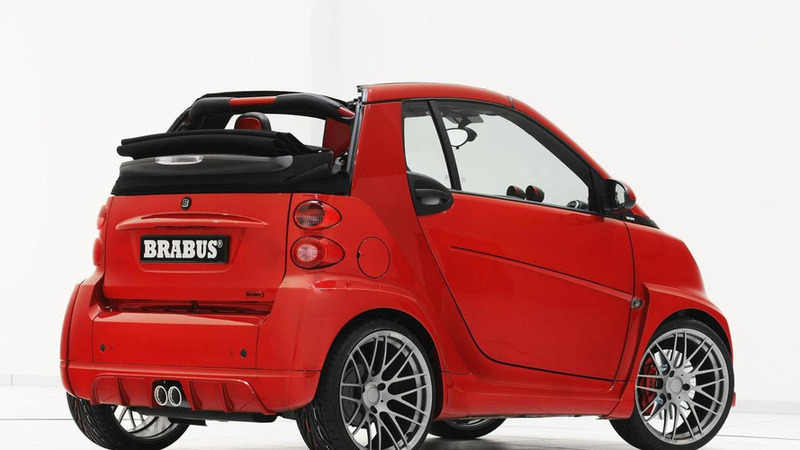 Smart has released a teaser video of an upcoming Brabus model. 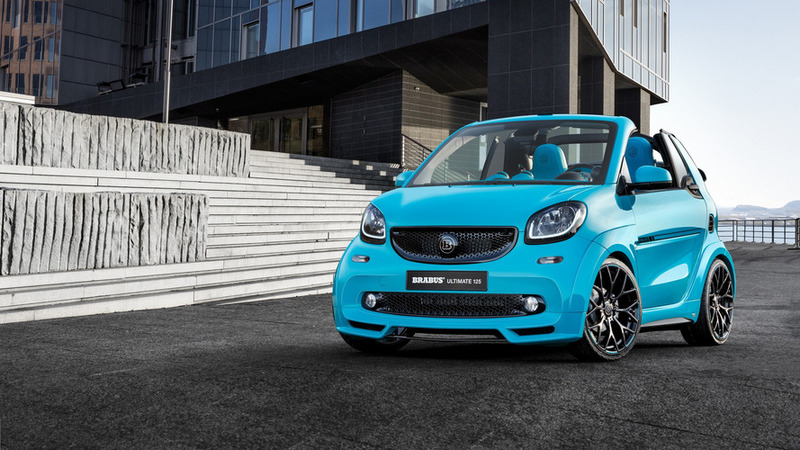 Details are limited, but the car appears to be based on the ForTwo. 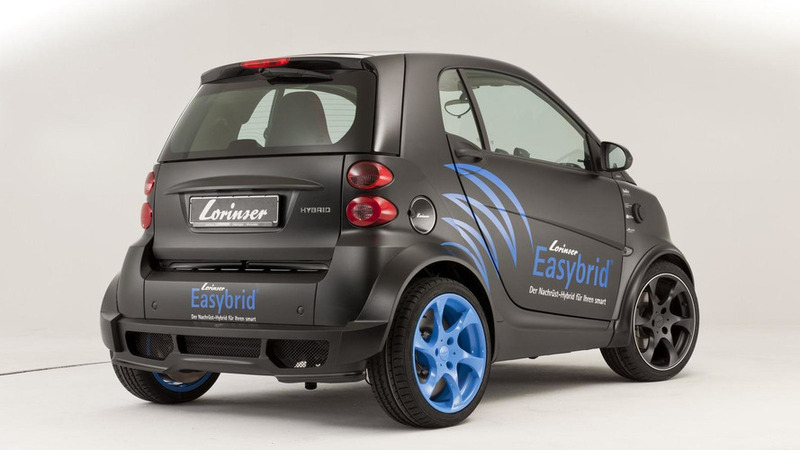 Lorinser has announced plans to introduce the Easybrid plug-in hybrid system at the Essen Motor Show. 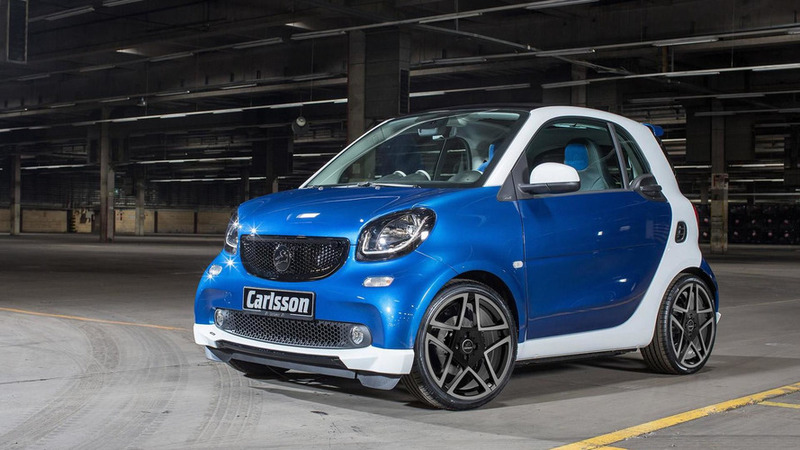 Check out the latest upgrades for the Smart ForTwo, now on offer from Carlsson.